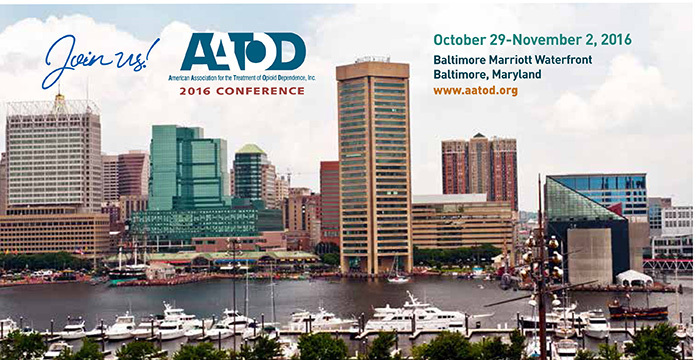 We are pleased to announce the 2016 AATOD Conference. 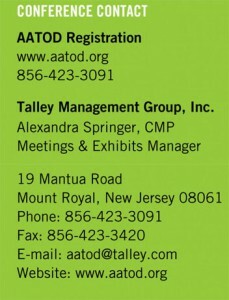 For more information about our conferences, please view this video clip highlighting the special moments of our last AATOD Conference in Atlanta of April 2015. 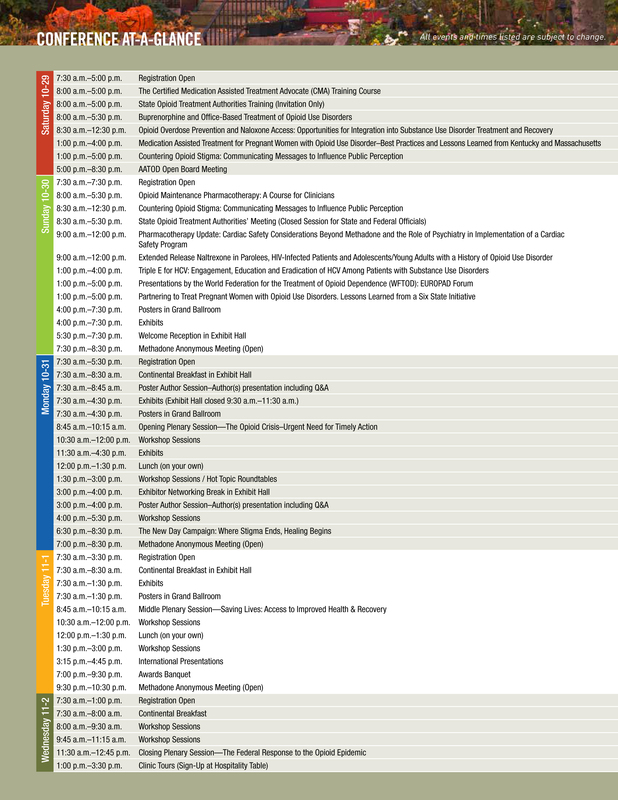 Participation in this conference assumes knowledge and authorization of photography, audio and/or video recording of portions of this conference. If you do not want to be photographed or videotaped, please notify the individuals taking photographs, recording and/or videoing the event. *Special Needs: The American Association for the Treatment of Opioid Dependence, Inc. wishes to take steps to ensure that no disabled person is excluded, denied services, segregated, or otherwise treated differently than other individuals because of the absence of auxiliary aids and services. 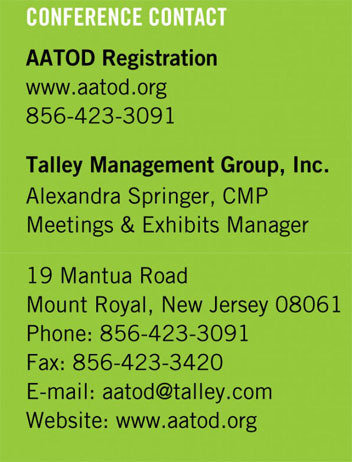 If you require any auxiliary aids or services identified in the Americans with Disabilities Act, please indicate so during the registration process.